Trient is the essential stage of the “Tour du Mont Blanc” and is on the international road that connects Martigny to Chamonix. Located at the entrance of the village, the Auberge is part of a traditional Swiss atmosphere with its terrace, a bar and a restaurant. The team of the Auberge is glad to welcome you in its establishment. 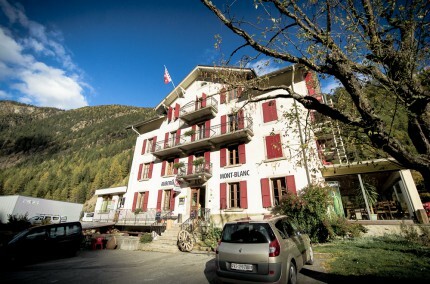 L’Auberge du Mont-Blanc offers many variations in rooms of one to five people. 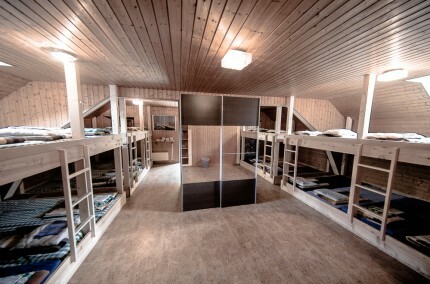 Ideal for groups, we have dormitories of different sizes, from 6, 8, 12,14 to 18 beds. 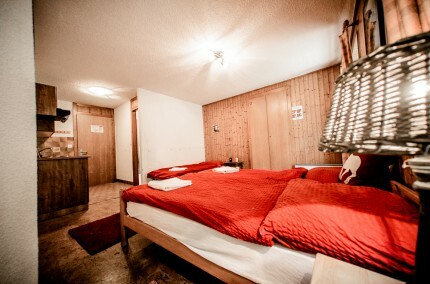 All are equipped with the necessary comfort bedding and we have new comfortable duvets and pillows. We just finished our brand new sauna ! A moment of pure relaxation in a warm atmosphere after a day of effort. 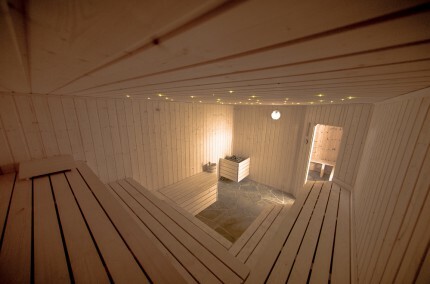 Our sauna is located downstairs and has seating for around 20 persons. There are 2 new showers opposite. 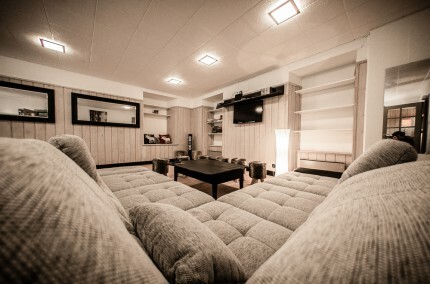 Freshly decorated and renovated, our lounge is a haven of peace. We have a new flat screen TV, DVD player with a selection of DVD’s, large sofa and free WIFI. There are also 4 dining tables and a music system. Our shuttle system will guide you on the ski slopes of Mont-Blanc and Marécottes (pretty Valais resort, renowned for its field Freeride). Trient is at the crossroads of the most departures hiking skins (Col de Balme, Aiguille du Tour, Le Bel Oiseau and Le Mont-Buet). A cross-country skiing 10 kilometers in different loops, is a short walk from the Auberge. There are many snow shoeing trails in Trient. There is also a 1.2 km sledge run in Trient with free sledges for our guests staying at the Auberge !